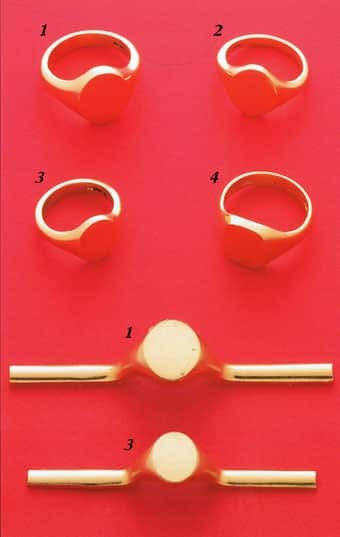 Shows the first four rings illustrated on Signet Rings - 1 but not yet finished and polished. At the bottom are die- stampings after leaving the mould. 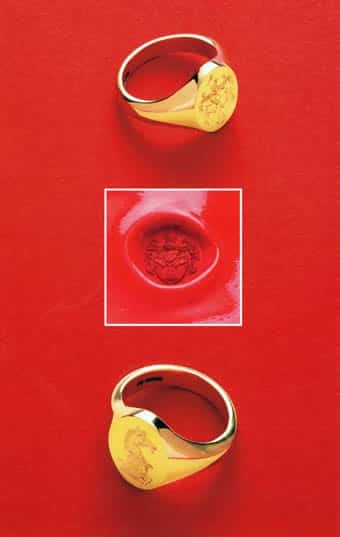 Shows two eighteen carat gold seal engraved signet rings photographed from the side to show the thickness and taper of the head and shoulders.